The most influential clandestine society in the history of the world is uncovered, a powerful man is murdered, and a mysterious ally appears with a thousand-year-old message as Dr. Julien Saunière continues his hunt for the Holy Grail! From a disgraced order of knights to the secrets of a neoclassic painter, Julien Saunière follows a trail of conspiracy that extends all the way to the walls of Jerusalem during the first crusade. In a Europe where sorcerers stalk the streets and the Catholic Church reigns supreme, Julien pursues a truth that could change the world forever. Powerful forces have dedicated themselves to ensuring he does not succeed.
? Collecting issues #6-#11, originally published by Image, this second volume of the critically acclaimed Rex Mundi combines fantasy and mystery, history and horror, to craft a tale unlike any ever seen in comics. A quest for the Holy Grail unlike any you've ever seen begins here—in a world where the American Civil War ended in a stalemate, the Catholic Church controls Europe, and sorcery determines political power! When a medieval scroll disappears from a Paris church, Dr. Julien Saunière investigates, uncovering a series of horrific ritual murders and an ancient secret society. Julien cannot let these shadowy figures retreat into the darkness, lest they take up their killing once again. His investigation turns into a one-man quest into the bizarre secrets of the Catholic Church.
? Mystery, fantasy, history, and horror combine to create this critically acclaimed comic. This is the volume where it all begins for anyone interested in a literary adventure that'll challenge their mind as much as it chills their bones!
? Collects issues #0-#5 of the Image Comics series. Felicia Day and The Guild are back, along with costar Wil Wheaton, for a brand-new story spotlighting Fawkes, the dashing, debonair, and douchey leader of the evil guild Axis of Anarchy! His relationship with Codex threatened to tear the Knights of Good apart until he was thrown off a balcony for his treatment of her. 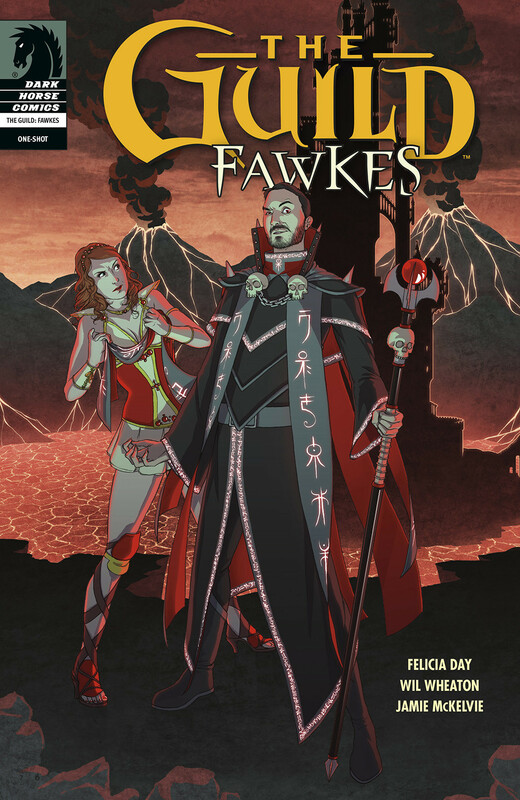 Set after season 4 of the show, this issue reveals how Fawkes deals with his split from Codex and navigates the aggressive personalities of the Axis, and follows his journey to his surprising state when he returns in season 5! Zaboo has loved Cyd's game avatar Codex from afar since the two first met playing The Game. Just what he'll do for love comes to the fore as he senses Cyd is in trouble and embarks on a real-life quest to escape his mother and become Cyd's knight in shining armor. Cowritten by Guild creator and star Felicia Day and costar Sandeep Parikh and brought to life by innovative artist Becky Cloonan! Felicia Day is back with a one-shot spotlighting the Guild's heart and soul-or at least its dirty mind-Clara! A mother of three, or maybe five, Clara is the Knights of Good's most irresponsible and hedonistic member. When Clara's husband overhears her scheduling seventy-eight hours of game time, he hides the computer until she agrees to help him around the house, leading her to uncover a box of mementos from her past. What follows is a bizarre trip down memory lane for Clara. The Guild creator and star Felicia Day is joined by series director Sean Becker for a new one-shot starring the Knights of Good's brash young rogue, Bladezz! In this issue, it's the secret origin of Bladezz's alter ego, the supernaturally gifted model Finn Smulders! When all he wants is a place to play the Game, and faced with a controlling mother, know-it-all sister, and obnoxious potential stepfather, can Bladezz use Smulders's 'powers' to save the day? Can he keep his new identity secret? And can any good possibly come of fatherly advice from Vork? 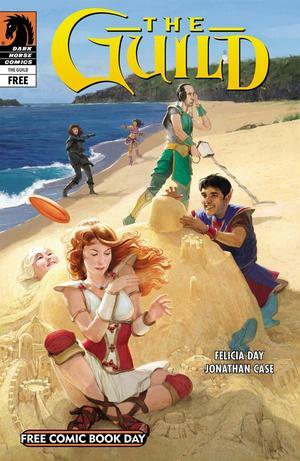 Felicia Day returns to her Internet and comics sensation The Guild with a story spotlighting the Knights of Good's most mysterious member, Tinkerballa! While some of the other Guild members have gotten a little too involved in each other's offline lives, Tink has fiercely guarded her privacy, and the Knights of Good still know almost nothing about her. When they begin to pry, the Guild gets more than they bargained for-but is any of it true? Joining Felicia Day for these tall tales are Kristian Donaldson, Jeremy Bastian, Wellinton Alves, Tim Seeley, and Adam Warren! Hot off filming The Guild Season Four, Felicia Day returns to comics with five brand-new one-shots spotlighting the Knights of Good! As leader of the Knights of Good, Vork rules with an iron spreadsheet. Having devoted his life to gaming and the pursuit of Goodness, he's earned the nickname "Goody-Two-Greaves" within the game world, but there's more to Vork than his guild knows. Written by Day and Vork himself-actor Jeff Lewis-this hilarious one-shot delves into the man behind the rule book! "It's not dissimilar to the tone of Joss Whedon at his best . . . Day makes one heck of a comic book writer." Dilbert is an American comic strip written and drawn by Scott Adams. First published on April 16, 1989, Dilbert is known for its satirical office humor about a white-collar, micromanaged office featuring the engineer Dilbert as the title character. The strip has spawned several books, an animated television series, a video game, and hundreds of Dilbert-themed merchandise items. Adams has also received the National Cartoonist Society Reuben Award and Newspaper Comic Strip Award in 1997 for his work on the strip. Dilbert appears in 2000 newspapers worldwide in 65 countries and 25 languages. Delving into the days before the Apocalypse, Darksiders II: Death's Door is a pivotal contribution to the world of the hotly anticipated new game! Created in collaboration with Joe Madureira's Vigil Games, this original story follows Death, one of the Four Horsemen of the Apocalypse, on a mission to destroy a rogue demon. Chasing the creature across magical realms and even through time, Death's quest takes him on a heart-pounding adventure that reveals some of the greatest mysteries of the games! Earth: 2006, and the fate of the planet is already sealed, its destiny decided... by the marauding mechanical beings known as Decepticons. In their way stand an embattled crew of seven hardy Autobot warriors, sworn to prevent the impending Armageddon at any cost, and an unlikely trio of human misfits, pulled kicking and screaming into a hitherto hidden world of pain and hurt. The can of worms is open, the genie out of bottle... and nothing will ever be the same again! It begins again - here, now - the saga of the war-torn robots in disguise, the Transformers! Based on the upcoming animated film Dorothy Of Oz! Building on the world created in the celebrated children's book by Roger Stanton Baum, Dorothy Of Oz tells the tale of Dorothy's return to the Land of Oz. But first, read here about what events transpired to necessitate Dorothy's return, and witness the rise of the Jester! She has hunted the wildest game and dallied with countless beautiful girls, but still longs to know the world beyond the city walls. Princess Rilavashana SanParite, called Bold Riley, leaves behind her station and sets out to travel through distant lands and find forgotten ruins, fearsome enemies, inscrutable gods, and tragic love. Foreword by Jane Espenson (Buffy the Vampire Slayer). Seventeen-year-old Madison Thomas and her twin brother Lincoln just moved to Yuma, Arizona, following their mother's death. Madison quickly falls for Kevin, the leader of the most feared clique in high school. After a crazy night of partying she becomes afflicted with amazing power. And you know what they say - with great power comes great irresponsibility! The story of a mute, reluctant super hero from another planet, and the earthly teenager with whom he shares a strange destiny - and the legion of robots and nanoviruses that have been sent from afar to hunt the two of them down! Created in 1975 by Steve Gerber and Mary Skrenes, the original Omega the Unknown lasted only ten issues, but was a legend to those who recall it - an ahead-of-its-time tale of an anti-hero, inflected with brilliant ambiguity. One of Omega's teenage fans was award-winning novelist Jonathan Lethem, who has used the original as a springboard for a superbly strange, funny, and moving graphic novel in ten chapters. The series was nominated in the "Best Limited Series" and "Best Lettering" categories in the 2009 Eisner Award. 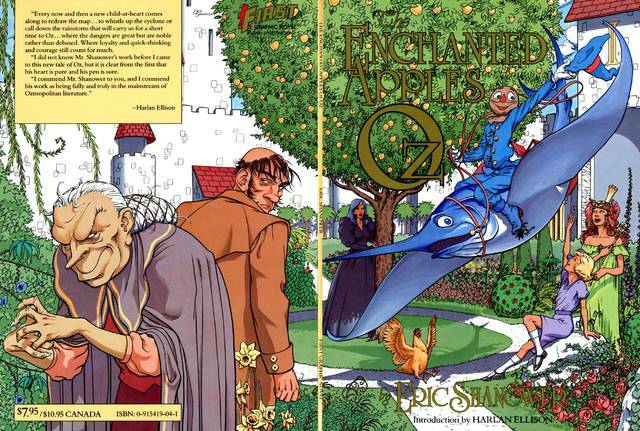 An excerpt was selected by Neil Gaiman to be anthologized in The Best American Comics 2010. Omega The Unknown was both an American comic book published by Marvel Comics from 1976-1977 and the titular character of that comic book. The series, written by Steve Gerber and Mary Skrenes and illustrated by Jim Mooney, ran for 10 issues before cancellation for low sales. Despite its short run, it has remained as a cult classic due to its intriguing characters and unusual storytelling. Jason Aaron, the up-and-coming writer of the critically acclaimed series THE OTHER SIDE teams with gritty artist R.M. Guéra for an intense crime drama that mixes organized crime with current Native American culture. Fifteen years ago, Dashiell "Dash" Bad Horse ran away from a life of abject poverty and utter hopelessness on the Prairie Rose Indian Reservation in hopes of finding something better. Now he's come back home armed with nothing but a set of nunchucks, a hell-bent-for-leather attitude and one dark secret, to find nothing much has changed on "The Rez" -- short of a glimmering new casino, and a once-proud people overcome by drugs and organized crime. Is he here to set things right or just get a piece of the action? This volume explores Dash Bad Horse's troubled origin and chronicles his day-to-day life on "The Rez" working for Chief Red Crow. In this third volume of the acclaimed SCALPED series, on the day after the grand opening of a new casino, undercover FBI agent Dashiell Bad Horse's home reservation wakes up to find that two women have been murdered during the night. It's up to Dash to find the killers and, in the process, come to grips with his relationship with his own mother. In this volume, Dash makes a dark and fateful decision that will forever affect his future on the reservation as he learns more secrets from his former girlfriend's past. whose presence could spell doom for one of our main characters. In this volume, Red Crow commits a murder in front of witnesses and the FBI finally thinks they have the dirt they need to put him away. Meanwhile, Dash's loyalty to Red Crow is tested as his addiction to heroin intensifies. The final volume of the series brings together all the threads laid out from the very beginning for a dramatic conclusion years in the making! G.I. Joe: Rise of the Cobra Official Movie Prequel You've seen the blockbuster movie! Now find out the real stories of Duke, Destro, The Baroness, and Snake Eyes as they each take center stage prior to the film's pulse-pounding opening! Learn how Duke and Ripcord became friends in one of their earlier missions! See Destro in action across the globe, outwitting terrorists who try to rip him off! Witness The Baroness seduce, manipulate, and eviscerate her prey! And last, but not least, marvel at the mysteries of Snake Eyes revealed! The 1968 TV episode "Assignment Earth" had been the Season Two finale for the original Star Trek series, and was intended by Gene Roddenberry as the pilot for a spin-off series that never came to pass. Now, John Byrne delivers the series 40 years after it would have debuted, recounting the adventures of interstellar agent Gary Seven and his Earth-born assistant as they covertly confront threats to the past so that they can save Star Trek's future. Byrne writes and draws the series, which steps one year forward with each installment, beginning with 1968, the year that the spin-off series would have appeared.